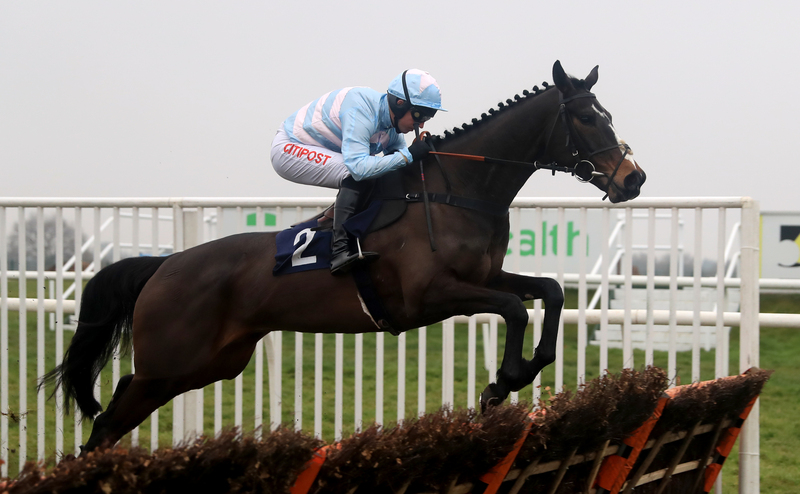 Tom George is looking forward to seeing Black Op get his career over fences under way at Exeter on Friday. The seven-year-old enjoyed a fine novice campaign over hurdles last season, finding only Samcro too strong in the Ballymore Novices’ Hurdle at the Cheltenham Festival before going one better in the Mersey Novices’ Hurdle at Aintree. He was due to make his chasing debut at Exeter last month, but was withdrawn on the day of the race due to the drying ground. With the rain having arrived, he will belatedly make his reappearance in the Heavitree Brewery PLC Novices’ Chase and might not have things all his own way, with the Paul Nicholls-trained Topofthegame, Philip Hobbs’ Defi Du Seuil and Colin Tizzard’s White Moon among his six rivals. George said: “It looks a competitive little race, but we’ve got to start somewhere and there aren’t that many options for him. “He’s been ready to go for three weeks, but there’s been nowhere to go with him the way the ground has been. “They’ve done away with a lot of the beginners’ chases, so we have to run in a novice and I just hope they don’t give each other too hard a race. Sue Gardner’s Eddy, Robert Walford’s Spring Wolf and Hobbs’ apparent second string Westend Story complete the field.